The Hotel Wall Lamp oozes elegance in every way. Perfect as a pair of bedside wall lamps or in the sitting room providing warm, intimate lighting. 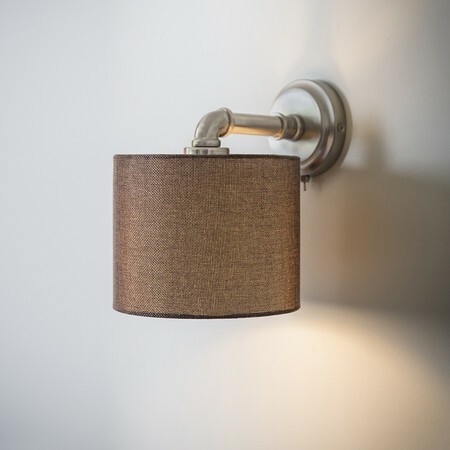 The Lamp has a nickel finish and comes complete with a fabulous fabric shade and fabulous drain pipe style arm. Designed to provide the perfect glow, this stylish light is wall mounted and has a on/off switch at its base.